The injured officer was treated at Providence St. Vincent Medical Center and was later released. 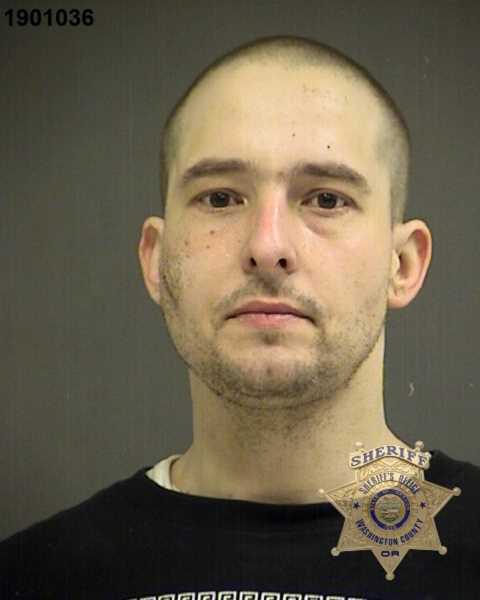 Washington County Sheriff's deputies have arrested a man they say dragged a North Plains police officer several feet and ran over his foot and during a traffic stop last week. William Callaway, 32, of Aloha was arrested Monday, Jan. 21. Callaway faces charges of reckless driving, reckless endangering. third-degree assault, giving false information to a police officer, eluding in a vehicle and failing to perform the duties of a driver. Callaway was arrested after authorities were called to the 2000 block of Southwest 209th Court in Aloha. Deputies with the Washington County Sheriff's Office were told Callaway had stolen a family member's wallet and ran from the home. Deputies and a Hillsboro K-9 team searched the area and located hom near Southwest 198th Avene and Alexander Street, where he was arrested. In addition to the charges stemming from the Jan. 15 incident, Callaway is also charged with third-degree theft from Monday's alleged robbery. Callaway also has an outstanding warrant from Clackamas County.